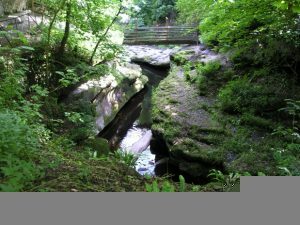 A spectacular 20 metre deep limestone gorge provides an action packed day out for all the family. The gorge can be explored via a network of narrow paths, bridges, tunnels and caves. The more adventurous can book onto a Via Ferrata course or outdoor activity course. Tearoom serving home-made food with a children’s play area. Price: Adult £5.75, child (5-16) £3.50, under 5’s free, concessions £4, family £16. Additional charges apply for the Via Ferrata.